Imagine the scenario in which you want to ssh backup your (VirtualMin) server to another (VirtualMin) server. This post describes in detail the steps to take. Give a strong password to this user (although we will be using public / private key authentication). Do not specify a passphrase (as the backup will run without user intervention). Leave the default filename for private and public key ( id_rsa and id_rsa.pub). If the copy fails because public key authentication is required over ssh you have to disable this first. To do this edit your /etc/ssh/sshd_config file and set the value for passwordauthentication to yes. Now execute the ssh-copy-id again and reset the value for passwordauthentication. After the ssh-copy-id has succeeded a new directory and file is created on the backup server. The directory is in the home folder of the remotebackup user and is called .ssh . In this directory a file is created, authorized_keys , which contains the public key from the root user of the server that wants to store the backups on this server. After rssh is installed successfully edit the file /etc/rssh.config . Uncomment the line containing the text allowscp (VirtualMin executes backups with the scp command). Now edit the password file stored at /etc/passwd . Search for the line containing your backup user (remotebackup) at the start of the line and change the shell to /usr/bin/rssh. This account is restricted by rssh. Allowed commands: scp If you believe this is in error, please contact your system administrator. Connection to bjdejong.nl closed. Okay; this is good; VirtualMin only executes scp commands over your ssh connection. Now goto your VirtualMin interface on the server that creates the backups and add the required backup schedules. Create a full backup that runs every first of the month and create an incremental backup that runs every day. Settings for the full backup. Mind the File on server setting which stores the files in a subfolder full . The incremental backup uses the same settings except for the Backup level which you have to set to, guess what, Incremental. VirtualMin -> System -> Disk Quotas; select Groups and select your backupuser. Thats all there is to it. Your backups are save now! 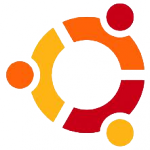 This entry was posted in Linux, Ubuntu on February 21, 2015 by Berend de Jong. If everything went ok you are protected against the POODLE attack. This entry was posted in Apache2, Linux, Security, Ubuntu on February 13, 2015 by Berend de Jong. 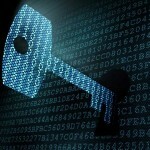 With the help of OpenSSL you can easily encrypt and decrypt files. This method of encryption is of course also compatible with the openssl binaries you can download for the Windows platform. Use base64 encoding for better multi-plaform exchange. The commands above use base64 encoding for storing the encrypted data. 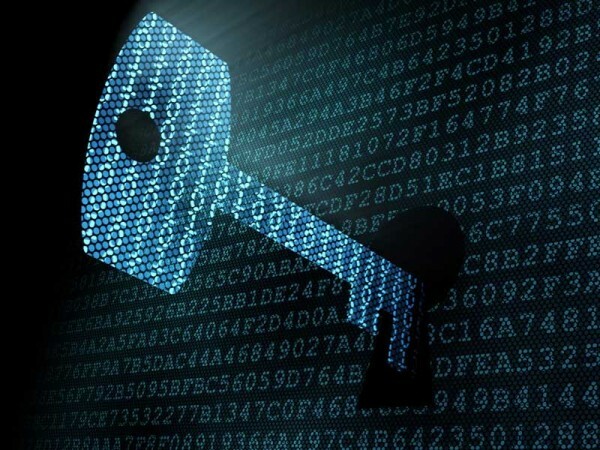 This entry was posted in Cryptography, Handy, openssl on January 23, 2015 by Berend de Jong. Vim is my favorite text editor on Linux, Mac OS X and even Windows. The vim editor is an enhanced version of vi. Vi works great over slow network ppp modem connections and on systems of limited resources. One can completely utilize vi without departing a single finger from the keyboard. In this post I describe some handy tricks and tips while using Vim. With vim it is very easy to encrypt your files. Start vim with the -x command line parameter and the name of a (new) file. Vim will ask for your encryption key (twice). When you save the file it will be encrypted. List of VIM plugins can be found here. This entry was posted in Handy on January 23, 2015 by Berend de Jong. Got the error below in your apache error log when trying to start the Apache server? Then you have permitted ciphers in your apache.conf (at /etc/apache2 ) that are not compatible with your openssl configuration (probably version 1.01, check with openssl version). To solve this problem remove the +TLSv1.1:+TLSv1.2 from the line starting with SSLCipherSuite. Restart your apache server; it should be running now…. Want to get rid of the Apache2 message “Could not reliably determine the server’s fully qualified domain name, using 127.0.0.1 for ServerName”? This entry was posted in Apache2 on January 21, 2015 by Berend de Jong. Having trouble ssh-ing on port 22? Then try to use another port with help of your iptables firewall. With iptables it is possible (among other things) to redirect traffic on an incoming port to another port of your choice. # -D8080 Specifies a local "dynamic" application-level port forwarding. To use this connection in the browser tell the browser to use a socks proxy on port 8080 or use the tsocks command to “socksify a tool” for example an ssh session to other servers. This entry was posted in Apache2, Ubuntu on January 21, 2015 by Berend de Jong. This entry was posted in Handy, MAC OS X on January 17, 2015 by Berend de Jong. Logwatch is an application that helps with simple log management by daily analysing and reporting a short digest from activities taking place on your machine. In this post a short manual for installing logwatch on your ubuntu box. Edit the configuration file to suit your needs. Especially have a look at the “MailTo”, “MailFrom” and “Detail”. This entry was posted in Linux, Ubuntu on January 17, 2015 by Berend de Jong. Having problems backing up your virtual hosts with virtualmin after the upgraded to 4.13 (available around january the seventh 2015)? The source of the problem is that mysqldumps are now executed under the domain account (for security reasons). As is obvious this does not always work correct. For this moment there is a quick fix thanks to the great support folks at virtualmin.com. Check here for the quickfix (the restart of the virtualmin server is mandatory :-)). This entry was posted in Handy, Linux, MySQL, Ubuntu on January 9, 2015 by Berend de Jong. Adding the line above to your crontab takes care for executing the cron.php file every 15 minutes on your system (even when no users visit your site as is the case with the AJAX configuration). OwnCloud 7 does not store the uploaded files in the MySQL database. It uses the database for user administration. We have to create a MySQL database for the OwnCloud installation. Go to your VirtualMin interface (easiest way to accomplish this). Goto Webmin -> Servers -> MySQL database server (start MySQL server if needed). Select Create a new database. Assign the database a name and press Create . Select “User permissions” and select Create new user . Type a username and password. Type localhost in the Host field. Select no permissions and press Create . Return to the database list and choose Database permissions . Choose Create new database permission . Select the database you just created. Type in the Username field the exact same name you typed in the previous step. Type in the Hosts field localhost . Select all permissions and press Create . Now the database is setup; in the browser navigate to your OwnCloud 7 installation. Fill out the form that appears; press Finish and you are ready to use OwnCloud 7. Download a client for your OwnCloud 7 installation. In the example below I use the Mac OS X version. OwnCloud not in the webroot? Login to your admin account on owncloud. Go to the Admin page. Below File handling specify the new upload size. This setting has to be equal or less than the PHP setting. In virtualmin go to your domain configuration. Select Services -> PHP 5 Configuration -> Resource limits. Increase both the values for “Maximum file upload size” and “Maximum HTTP POST size” to the same value as you have set in the owncloud admin panel. With OwnCloud 7 you can enable external storage. With external storage you can access, for example you dropbox files, as if they were part of your OwnCloud. Enable the “External storage app” through the admin interface (Apps). Select Grant access and the DropBox screen appears for granting your application access. Press Allow and your configuration is complete; a green light will appear next to the foldername in OwnCloud to indicate correct configuration. This entry was posted in Linux, OwnCloud, Ubuntu on January 4, 2015 by Berend de Jong.